Chef Aristotle has cut his teeth in the art of serious haute-cuisine at the Michelin-Starred Restaurant Spondi in Athens, with acclaimed American Chef Ari Tsanaklidi. He was also Executive Chef at the Kivotos Club Hotel, a small luxury hotel of the world in Mykonos. After moving to South Africa, Chef Aristotle started his journey to Cheffing Glory by going into partnership with the likes of Anno Domini, where he received ongoing 4 and 5 star awards from Wine Magazine for many consecutive years. Eventually, Aristotle realised his life-long dream of owning his own restaurant. This manifested into the acclaimed Byzance Restaurant. This culinary institution was the accumulation of his years-long experience in honing the distinct art of perfect Mediterranean, Greek, Turkish and Moroccan Ethnic Food and Dishes. After Byzance, which as you’ll know as THE place for excellence in Tapas Cuisine in Jo’Burg, Aristotle went on to found “Ragafellow’s” Restaurant with his brother, in Hout Bay. Ragafellow’s has been a long-standing local hotspot, which has enjoyed enduring loyalty from Mother City locals for a number of years. In addition to the above-mentioned accolades that pepper Chef Aristotle’s Resume, you’ll most likely recognise him as being the Head Chef behind the very unique menu selection at Knife & Fork Restaurant’s in Cape Town. During his time at Fork Restaurant he was validated by NATIONALLY renowned food critic Jos Baker. Jos gave Fork a 5 star rating for the food for the first time in 10 years since its launch. His excellent exposure to Mediterranean, Turkish and Greek cuisine and his ability to master these ethnic forms of the culinary arts, lent so strongly to his ability to stay consistent in his deliverance of superb food to the local market. 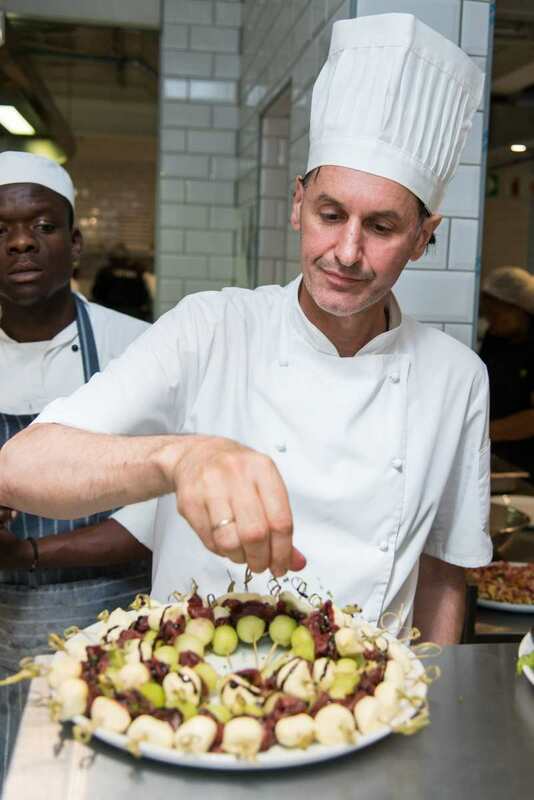 This gave Gilles the confirmation to bring forth Chef Aristotle and his lifetime-worth of skills and talent in the Culinary World to the likes of the Camps Bay strip.